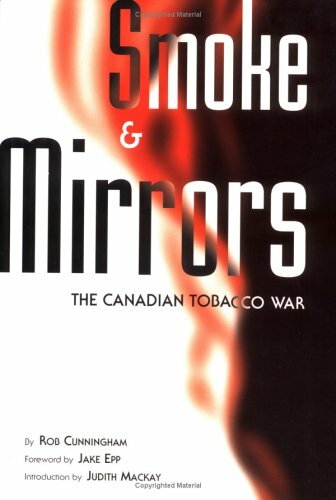 10^aSmoke and mirrors :^bthe Canadian tobacco war /^cRob Cunningham ; foreword by Jake Epp ; introduction by Judith Mackay. ^aOttawa :^bInternational Development Research Centre,^cc1996. ^axix, 361 p. :^bill., ports.